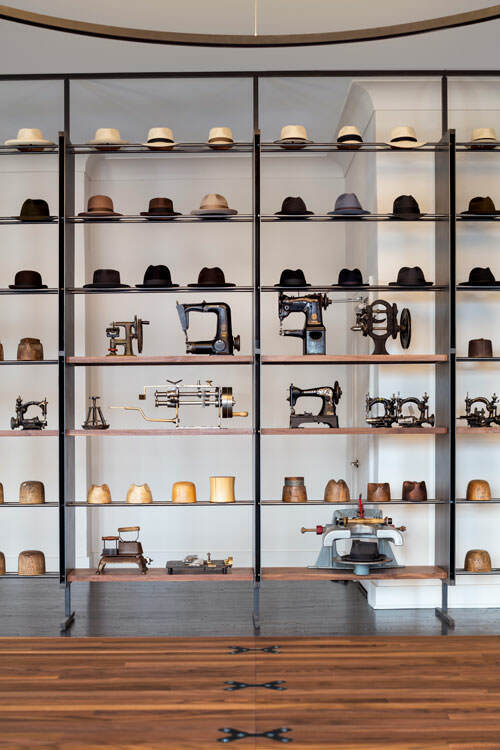 A hat factory like no other. 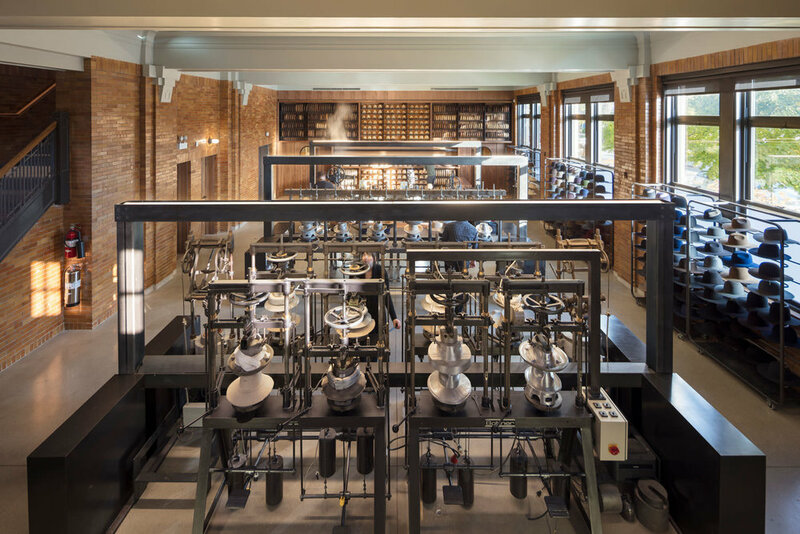 Located in Beverly, an historic neighborhood on Chicago’s South Side, Optimo’s recently completed headquarters consolidates its design, operations, and production spaces inside a 100-year-old decommissioned firehouse. To create a space reflective of our ethos of craftsmanship, authenticity, and timeless luxury, we engaged SOM, Skidmore, Owings and Merrill - the iconic Chicago Architectural firm, which shares the same values, to approach design with integrity and purpose. This is the smallest factory ever designed by SOM and is closed to the public. Our intention was to create an exceptional factory to produce an exceptional product. 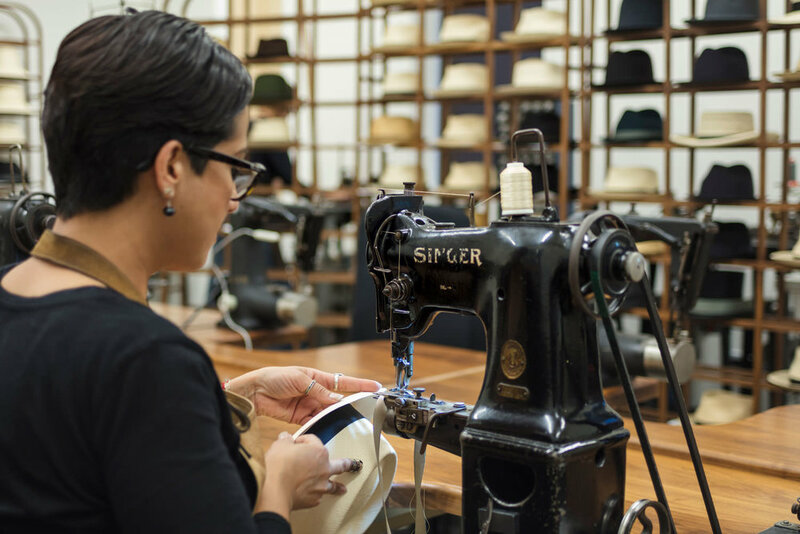 The Optimo factory is a working museum of hat equipment dating back to the turn of the century. Collected over decades, each piece has its own history and provenance. We utilize production techniques that involve technologies invented in the late 1800’s to 1950’s as well as modern, state of the art machines.